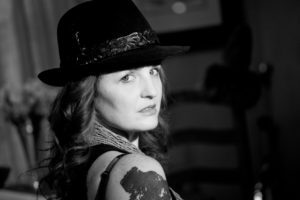 Nellie Clay is a storied folk singer-songwriter currently based in Oklahoma City, Oklahoma. After nine years in Alaska, Clay relocated to Nashville, Tennessee and spent three years playing Music City’s regular venues and touring around the states. The Oklahoma-born Clay has a trademark Okie yowl and is electric dustbowl with a backing band. With a reputation for waltzes, Nellie is a truth-teller in 3/4 time. Following up “Never Did What I Shoulda Done”, Clay is working on a new record to be released later this year.